The jury in the Hillsborough inquests was reminded of some of the evidence which was deleted from the statements of police officers. Coroner Sir John Goldring summed up evidence the jury had heard from South Yorkshire Police officers who were stationed around the Leppings Lane turnstiles on the day. But, he reminded the jury, some of what they had said in statements had been deleted after advice from force solicitor Peter Metcalf. Sir John recapped the evidence of former inspector Harry White, who suffered a mental breakdown after the disaster and later sued the force for negligence. Mr White, who was in charge of officers in the concourse area behind the turnstiles, said he thought the policy of allowing fans to “find their own level” in the pen was abdicating responsibility. The court heard that after writing his original statement Mr White added some additional points to it, including a reference to using tunnel gates to control the crowd. But solicitor Mr Metcalf advised that the additional points should be removed. 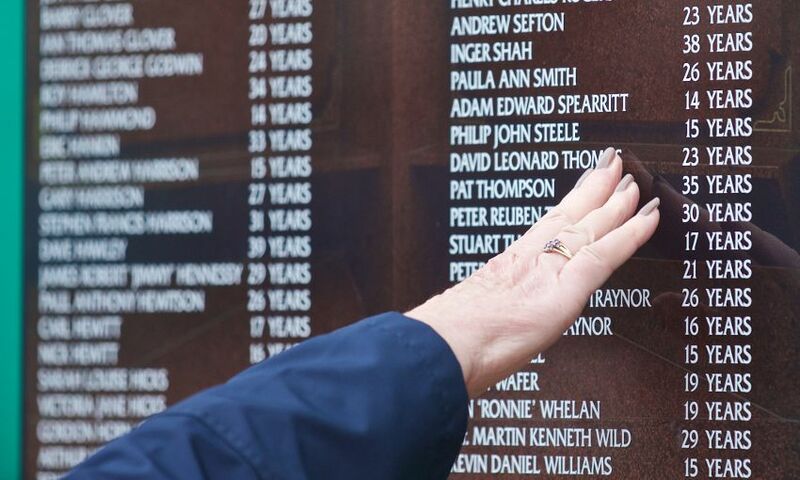 A reference to Mr Duckenfield’s briefing being “short and sharp” was also removed. But Sir John told the court that statement did not find its way to West Midlands Police, who were investigating the disaster. The coroner also reminded the court of the evidence of retired PC Robert Washington, who was stationed behind the turnstiles. Sir John said: “A sentence in his original statement was deleted on the advice of the solicitors. Mr Washington said the deletion was not brought to his attention when he was asked to sign the amended statement, but if it had been he would have refused to sign it. Sergeant William Crawford was in charge of officers outside the turnstiles. In the account Mr Crawford said he had worked that end of the ground on previous occasions with a lot more manpower. He said normally there was a serial of officers at the tunnel to direct fans if the centre pens had been filled and described an instruction to close the tunnel in 1988. 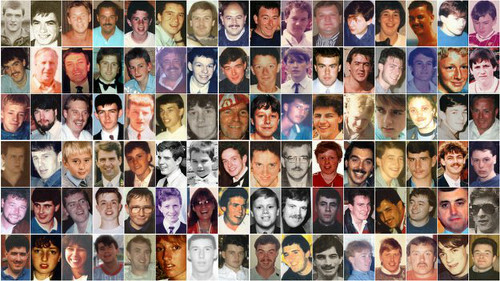 The Hillsborough jury was shown video clips of the crowd outside the turnstiles as the coroner continued to sum up the case. Sir John Goldring summarised the evidence of former PC Graham Duffy, who was based outside the turnstiles on Leppings Lane on April 15, 1989. In his 1989 statement, Mr Duffy said he thought there was a “deliberate effort” on the part of a section of the crowd to cause chaos at the turnstiles so people could gain entry without tickets. The jury was shown a series of video clips which had been put to Mr Duffy during his evidence. The coroner told them that after seeing footage from 2.32pm of the crowd outside the turnstiles, Mr Duffy agreed that the behaviour of fans was no different from what would be seen at any other big game as kick-off approached. Mr Duffy also looked at footage from 2.35pm and agreed that there was no hope of people at the back of a group in the service road getting through turnstiles in time. The court was shown a clip from 2.37pm and told Mr Duffy agreed it show a “fair degree of chaos” but no misbehaviour. A clip from 2.44pm was then shown to the court. The coroner said: “He agreed no loutish behaviour was depicted. After being shown footage from just after 2.54pm of the outer perimeter gates opening, Mr Duffy agreed that police had effectively lost control of the gates. Click here for a full transcript from February 11.